Loosen the locknut on the clutch adjuster screw. 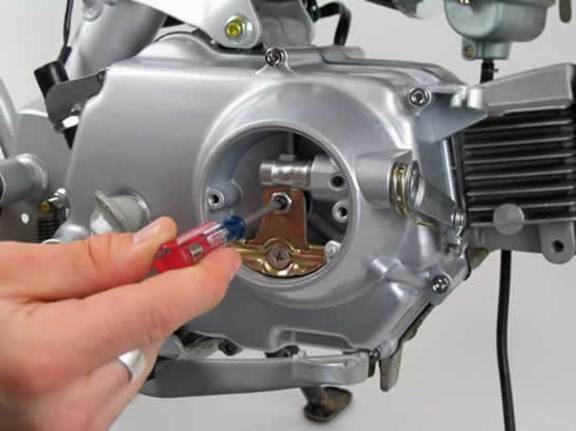 Tighten the screw until there is very little to no play in the clutch actuator plate. Connect the included clutch cable to the clutch arm and route the cable up to the clutch lever. Be sure that there is a small amount of play at the clutch lever. If not, loosen the clutch adjuster locknut and readjust the clutch adjuster screw.